Home / -Preview- / Joe Bonamassa / Preview / Joe Bonamassa to Pay Tribute to Clapton, Beck & Page on "British Blues Explosion Live"
Joe Bonamassa to Pay Tribute to Clapton, Beck & Page on "British Blues Explosion Live"
Joe Bonamassa, the two-time Grammy-nominated blues rock guitar icon, who recently shared news of his upcoming US tour for summer 2018, has announced the release of British Blues Explosion Live on Friday 18thMay,available on CD/DVD/Blu-Ray & 3LP (Blue, Red & White) via J&R Adventures. Joe's salute to the icons of British blues features the unbelievable music of Eric Clapton, Jeff Beck, and Jimmy Page. Joe recently paid tribute to his heroes during a short but very sweet tour of Britain - 5 performances only. This show was recorded at Greenwich Music Time at The Old Royal Naval College in Greenwich, London on July 7, 2016. 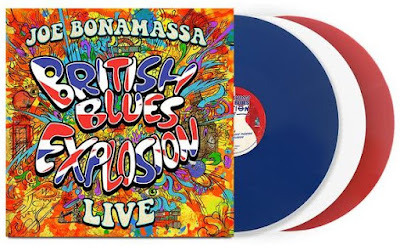 Bonamassa passionately believes in the need for this and future generations of blues musicians to continue to explore the music of these three icons of blues history. "If it wasn't for certain British musicians of the early 1960s, the Blues may very well never have exploded into Rock music as we know it today, and indeed may have passed into history," says Joe. When one thinks of the similarities between British Blues powerhouses Clapton, Beck, and Page, one is almost immediately drawn to think of the fact that they all held tenure in one of the most important - the most important, according to some people - blues bands that came out of Britain, The Yardbirds. However, the connection between these three guitarists lies so much deeper. All three of them, inspired so much by the American blues icons that came before them, have paved the way forward for Rock 'n' Roll and blues music. 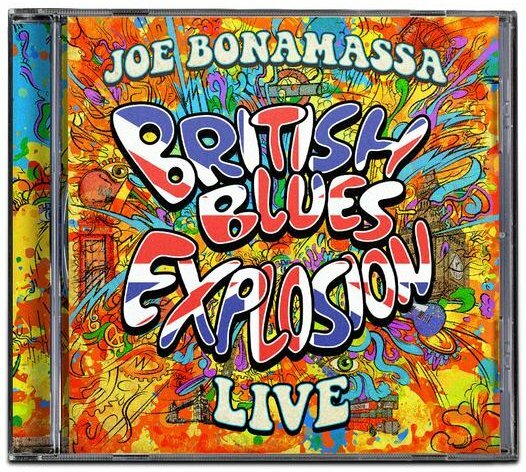 As one of the world's leading guitarists and a passionate devotee to the sacred form of art that is the British Blues, there is no person more qualified to preach the British Blues than Joe Bonamassa. A Salute to the British Blues Explosion is a cross-generational musical moment that will be unlike anything else you've experienced. 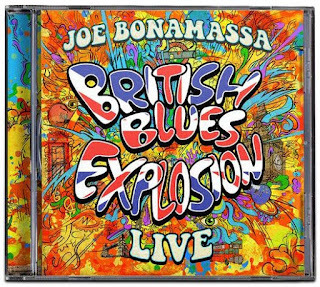 Go with Joe Bonamassa on a journey to re-discover the music of Eric Clapton, Jeff Beck, and Jimmy Page, and fall in love with the British Blues all over again.